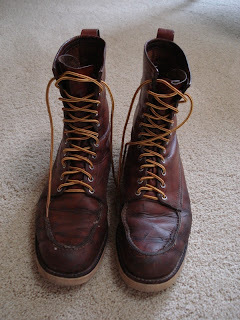 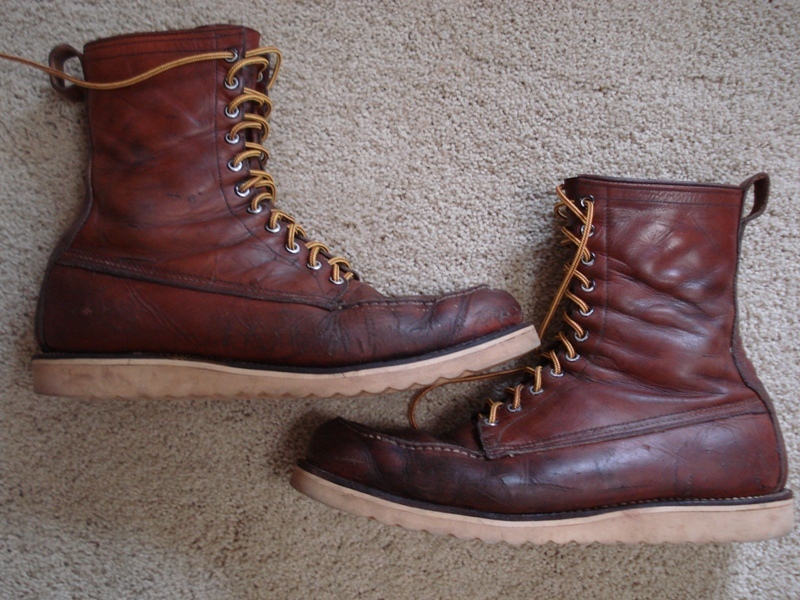 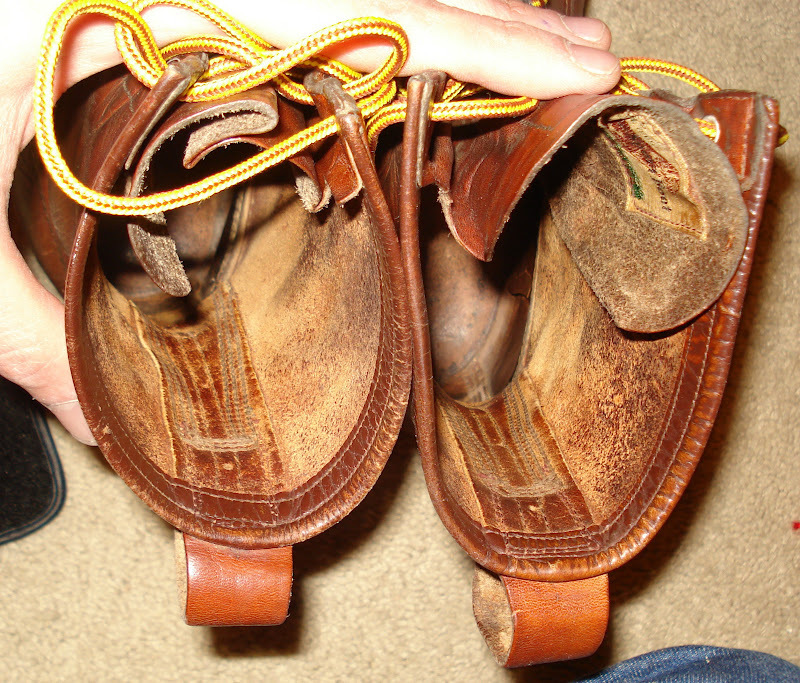 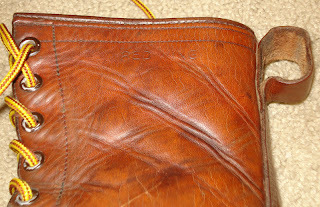 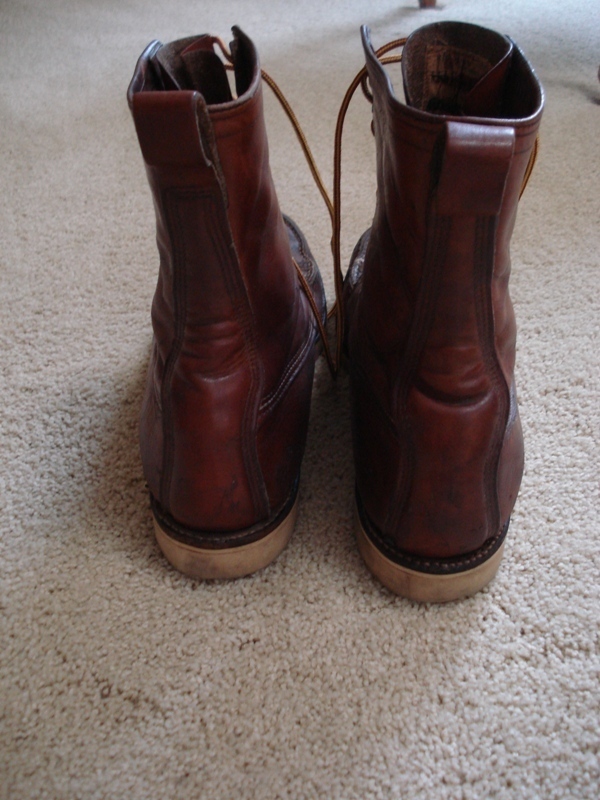 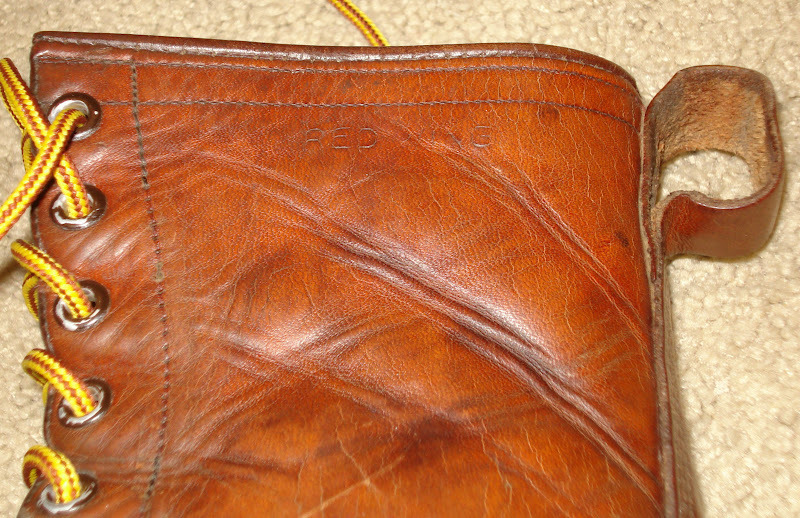 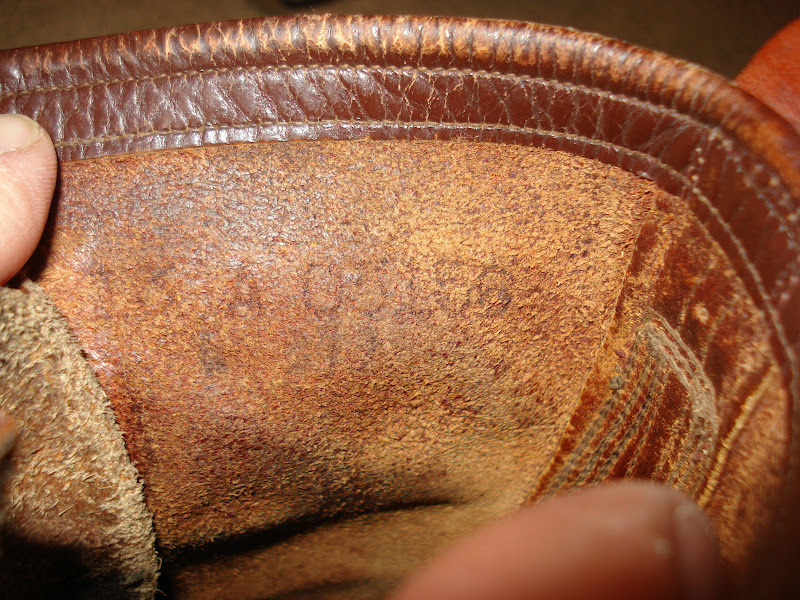 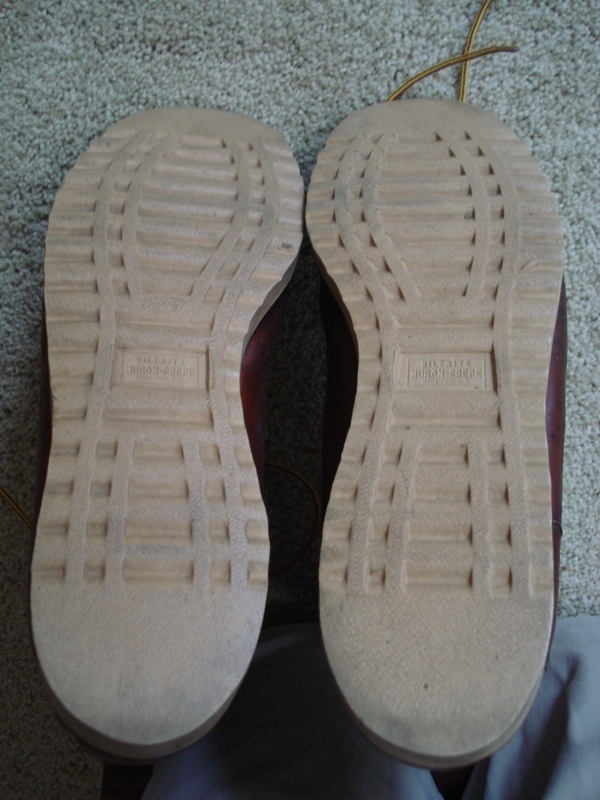 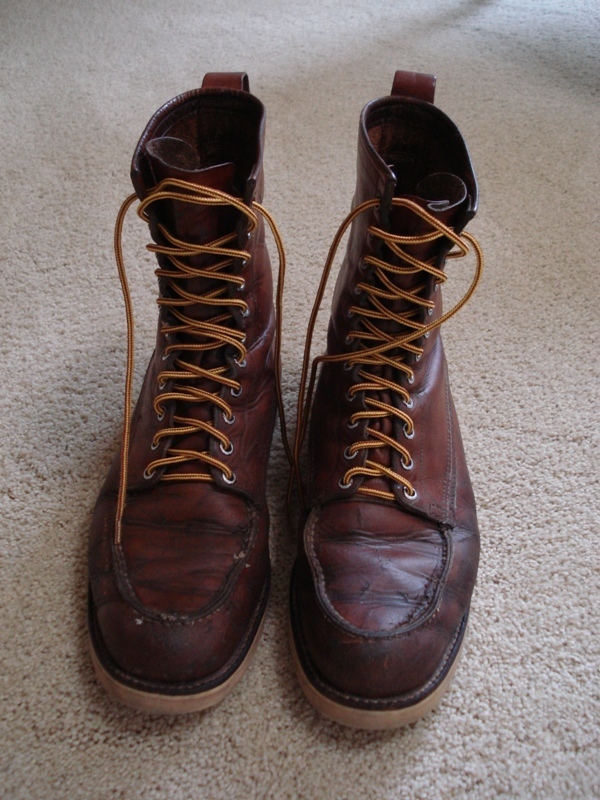 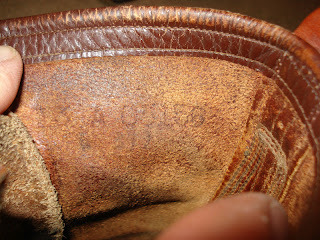 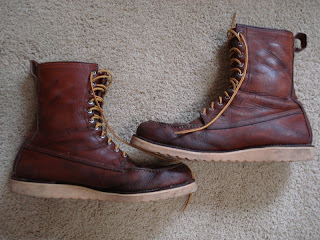 My brother found this super cool pair of early Red Wing Irish Setter Work boots from the Mid-1950's. 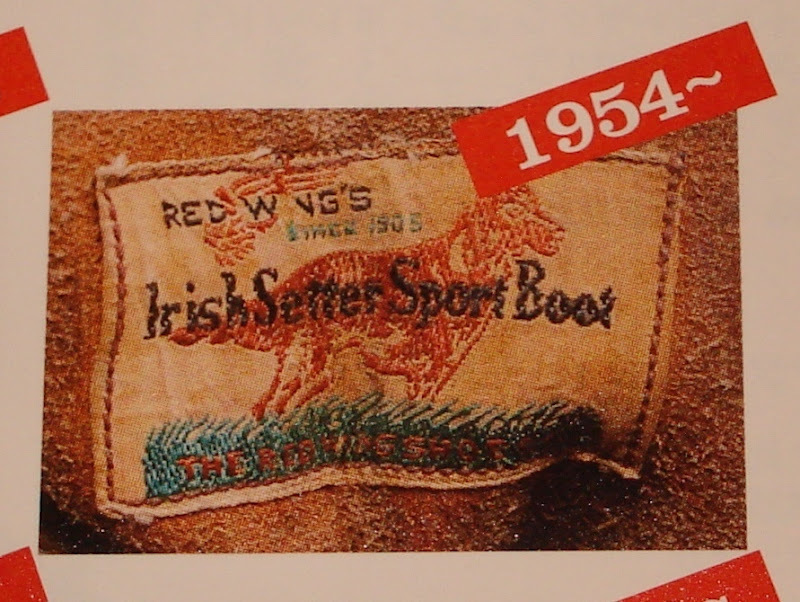 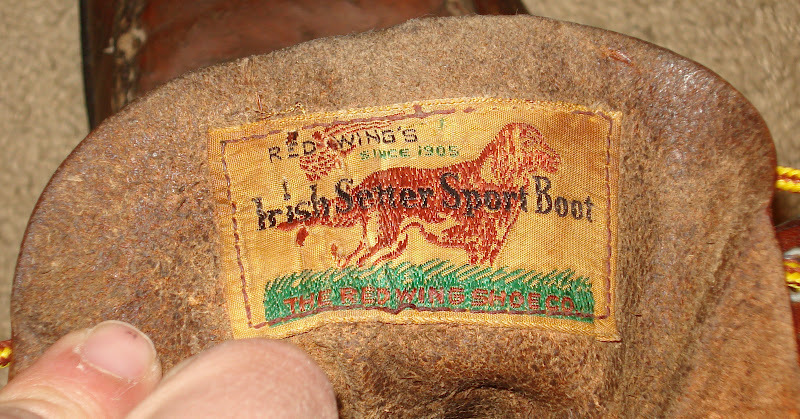 According to one of the Japanese Vintage books the tag on these boots was the first tag with the Irish Setter dog which is pretty neat. 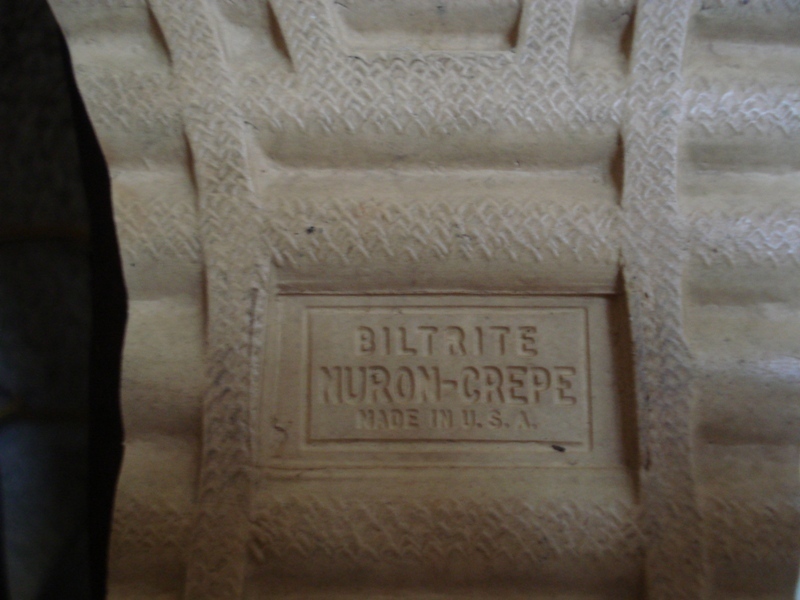 The soles he was told were replaced but they were replaced way back in the day as these Biltrite Nuron-Crepe soles appear to be of early 1960's vintage and are in fantastic shape. 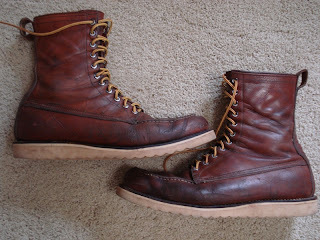 Too bad they are a size too small. 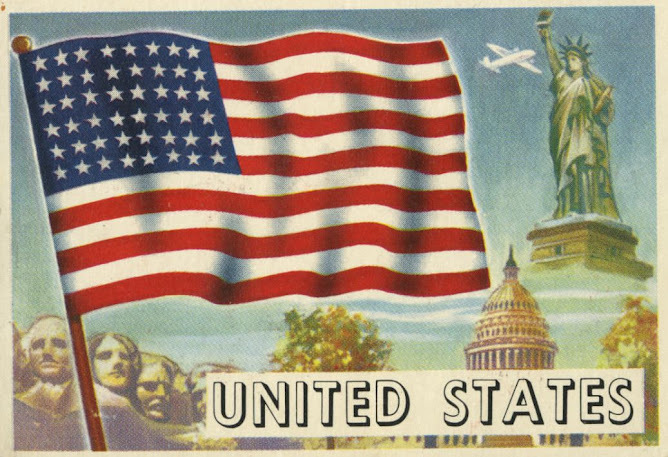 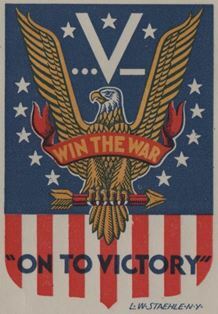 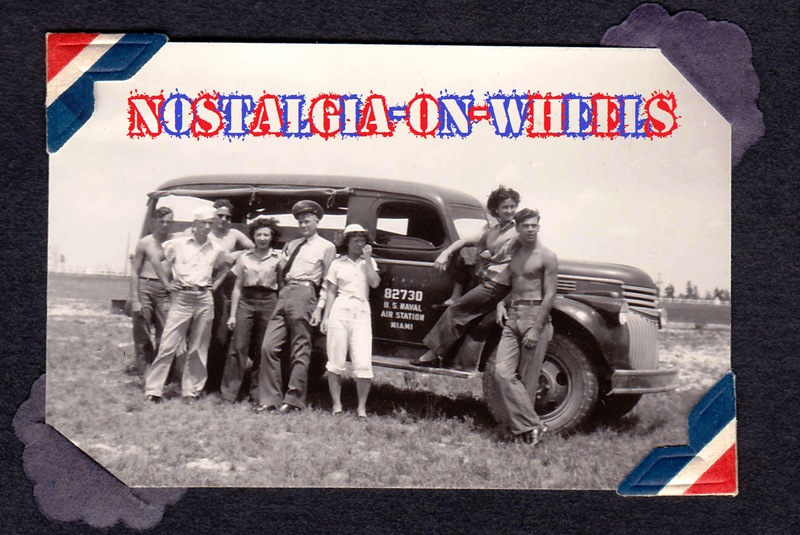 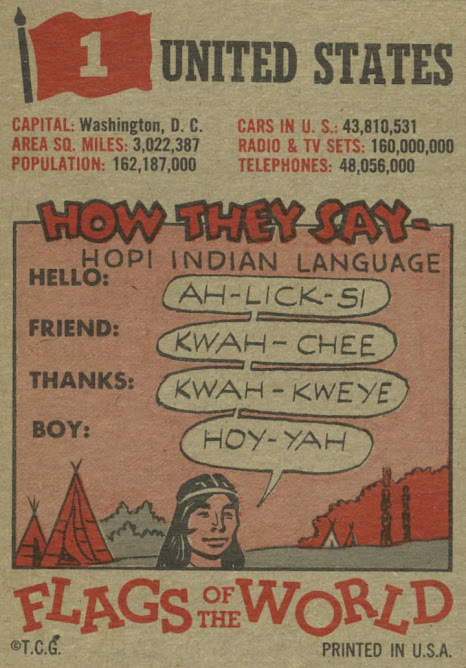 Another great image from Rik Hoving's Larry Watson Photo Archive!